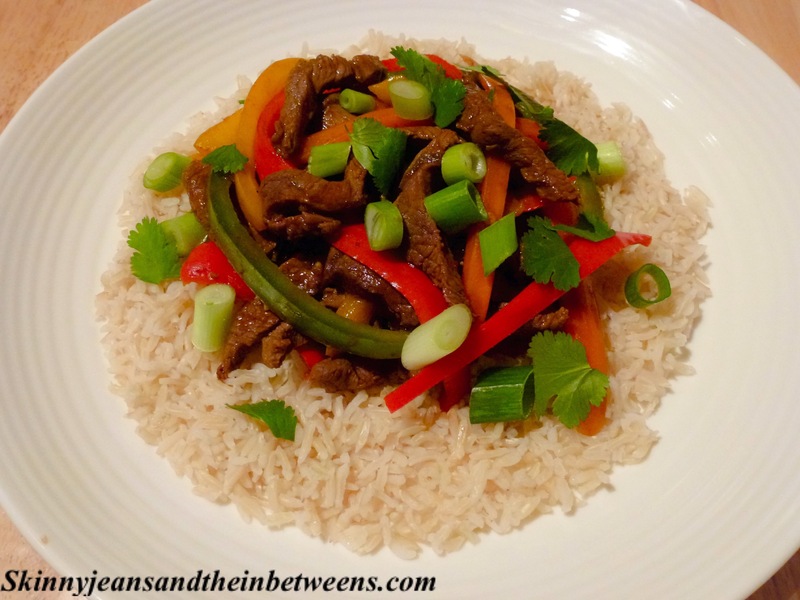 A gorgeous healthy Friday night dinner treat to rival your local take out with beautiful tender spicy beef, spicy sticky szechaun sauce & heaps of comforting steamy rice to accompany it. This is super quick & so easy to make it will be on your table feeding your family & friends in no time flat, guaranteeing happy bellies all around! This serves 4 people and comes in at 10 Smartpoints per serving (1 Smartpoint on the No Count Plan). Mix all the marinade ingredients in a bowl & add the beef strips. Cover and allow to marinade for at least 30 minutes, this step is what makes the beef nice & tender so don’t be tempted to skip it. Meanwhile prepare the rice as per packet instructions. Heat a large wok over a medium heat and spray with oil fry the peppers & carrots over a medium heat until softened, quickly fry the garlic and spring onions for the last minute of cooking time, remove and set aside, cover to keep warm. 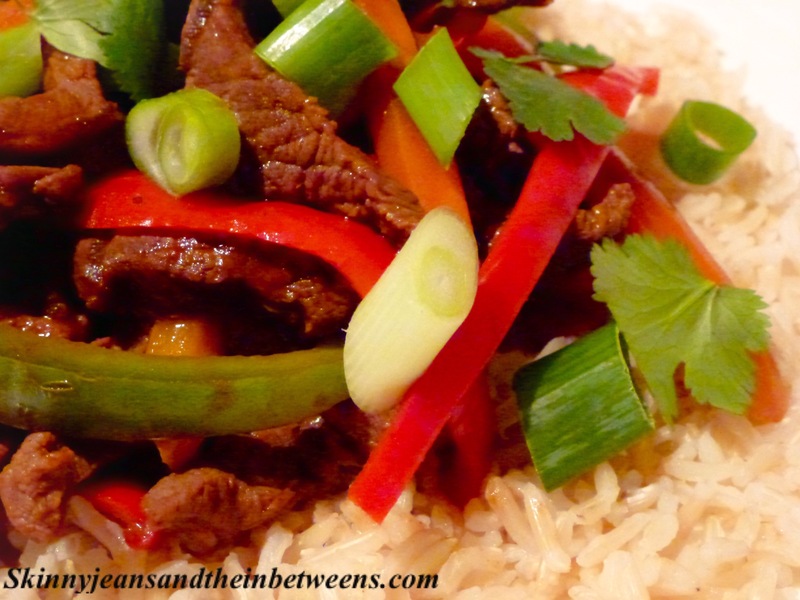 Re-spray the wok with oil & add the beef strips and fry for 6 to 8 minutes until cooked (some of the marinade will escape from the beef begin to make your sauce) and re add the vegetables to the wok. Pour in the sauce and mix well until heated through. 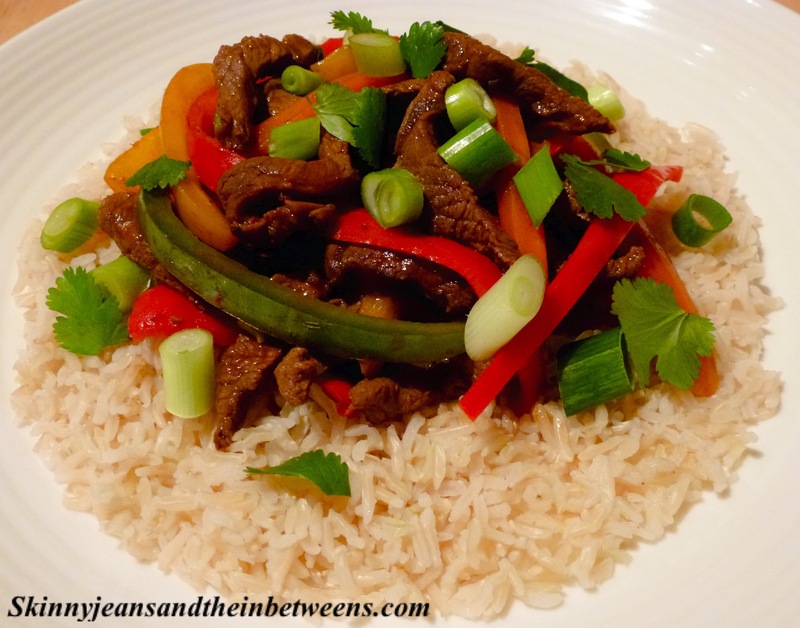 Serve with the rice & tear over some fresh coriander, Enjoy!